Account fraud: It’s every consumer’s worst financial nightmare. Imagine getting an alert about unexpected changes to your credit score. You open your credit report only to find a new line of credit has been taken out in your name — one you didn’t sign up for. Not only are you left confused, but the anxiety of taking the many steps to resolve the fraudulent activity starts to settle in. While overall fraud incidents declined in 2018, Javelin’s latest annual fraud study finds higher-impact fraud rates — such as new account fraud or misuse of non-card accounts — doubled in the past year. There are many types of fraud, ranging from account takeover to opening new accounts under someone else’s name. Committing fraud on these loan types requires taking specific, involved steps. According to the study, “professional” fraudsters often turn away from targeting these accounts to conduct criminal activity. Instead, these accounts are often a victim of “familiar fraud,” where the perpetrator is often a close friend or family member of the person whose identity is stolen. Across all fraud types, 15 percent of victims personally knew the perpetrator. But that number jumps to 50 percent for victims of New Account Fraud (NAF). Javelin’s study cites knowledge-based authentication plays a major role in the accessibility of accounts. It makes sense: those closest to us often know many of the details of our lives that are commonly asked as security questions while accessing an account. But accessibility doesn’t end there. “Even more sophisticated identity veriﬁcation methods, such as validating physical identity documents, can fail to detect familiar fraud if they do not visually compare the individual opening the account with the individual on the document,” the study says. Victims aren’t likely to report the fraud, either. Only 26 percent of familiar fraud victims filed a related police report in 2018. By skipping this important step, it can become harder to resolve the fraud, making overall costs for the victims soar. After dealing with a stolen identity, affected consumers face another reality: fraud’s staggering costs. Javelin’s study finds out-of-pocket costs for fraud victims have doubled since 2016 and have increased for three consecutive years. Just how costly can those fees get? A 2018 Bankrate study found the most common overdraft fee consumers faced that year was $35. The trend of overdraft fees charged by banks has increased since 1998, and experts don’t expect it to decrease any time soon. Javelin also finds more than one-third of consumers who face these secondary fees are less likely to have them reimbursed by their financial institutions, mainly because it’s so difficult to prove they’re a result of fraud. Young victims, the report says, are the most “vulnerable” with valuable accounts for criminals. Most victims under the age of 35 personally paid for the related fraud costs out of pocket, including overdraft and penalty fees, which are often not reimbursed by financial services organizations. 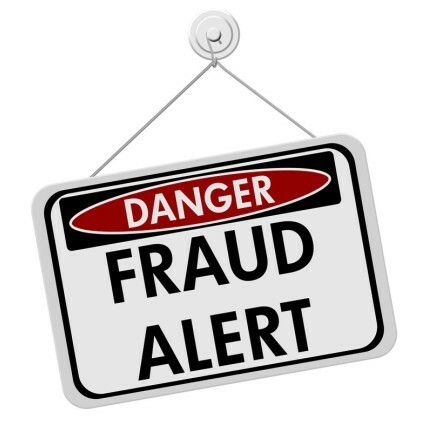 Eric Kraus, a fraud and risk vice president at FIS Payments (who sponsored the study but didn’t have influence in the methodology or findings) says the increasing cost of fraud is due to a lack of protections on accounts outside of the credit card world. While loan fraud is increasing at an alarming rate, the study’s authors point out a positive finding: overall fraud declined from 6.64 percent to 5.66 percent ($16.8 billion to $14.7 billion in losses). Most of the decline is attributed to the financial services industry taking appropriate measures to cut down on criminal activity. While credit card fraud is an ongoing issue, the study finds it’s decreasing and has the steepest decline of any fraud type. But that doesn’t mean consumers are in the clear. After chip-based cards became the standard in 2015, a “migration” from in-person to online fraud occurred, according to the Federal Reserve. “These insurance policies are generally designed to cover the types of expenses that are not already protected by regulation or card network rules and can cover legal fees, lost wages, and other fraud-related costs,” says Al Pascual, head of fraud and security at Javelin. There are third-party tools consumers can use, oftentimes for free, to monitor and check their credit reports. These tools often provide real-time alerts to a phone or email address regarding drops in score, new account openings or when accounts are sent to collections.